The purses serve as small-scale political billboards and represent women's economical power. Each vintage purse has 2-sided text. 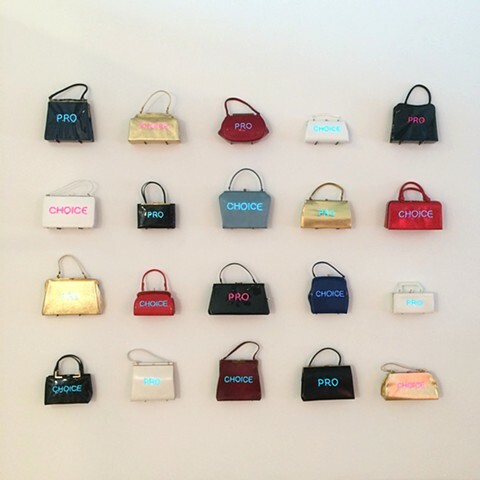 The text on each purse is created using Electroluminescent Wire that is lit up using batteries and a small electronic driver that can be set to constant or flash mode. Nancy Hoffman Gallery and I have teamed up with NARAL Pro-Choice New York, and are donating 5% of the proceeds from the Pred-à-Porter, Pro-Choice purses.